292 Madison Avenue, Manhattan, NY, USA. 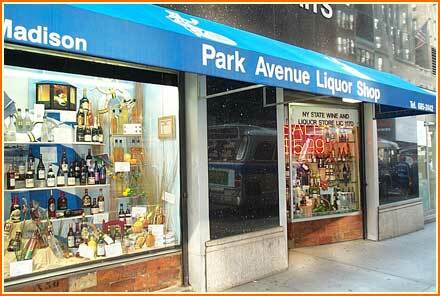 Centrally located in midtown Manhattan, Park Avenue Liquor Shop, founded in 1934, is one of the country's premier wine and spirits retailers. 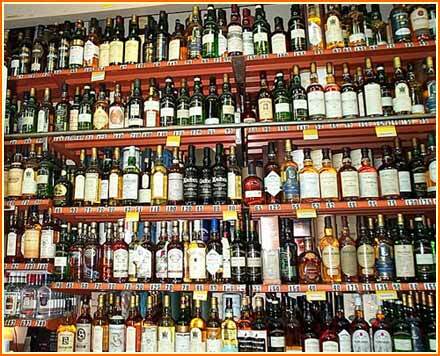 Under the direction of its President, Michael Goldstein, it has become known for its extensive inventory of wines from the world over and an incredible collection of spirits, including one of the country's largest selection of single malt Scotch Whiskies - over 400 bottlings! However, it is customer service, provided by a caring and knowledgeable staff, that has made Park Avenue Liquor Shop renown among discriminating consumers of fine wines and spirits. Three generations of the Goldstein family have committed themselves to providing unparalleled service to Park Avenue Liquor Shop's thousands of customers. A well trained and knowledgeable staff stands ready to give expert advice and answer questions on wines from France to Australia and everywhere in between, champagne to suit the occasion, the appropriate aperitif or after dinner drink and what the hot cocktail is at New York's finest restaurants. Park Avenue Liquor Shop also provides special services such as cellar appraisal, special events planning, dinner wine and food coordination, and planning and fulfilling gift giving for holidays or other special occasions.